Cumulus / S.O.U.L. Networking stencils? Looking for feedback here. We have recently received a few requests for Cumulus S.O.U.L. networking stencils for the Linux networking community. Is this something that would be of interest and value to you? If so please advise on how you would intend to use them and what specific icons or elements you would like to see. Also what format would you want? 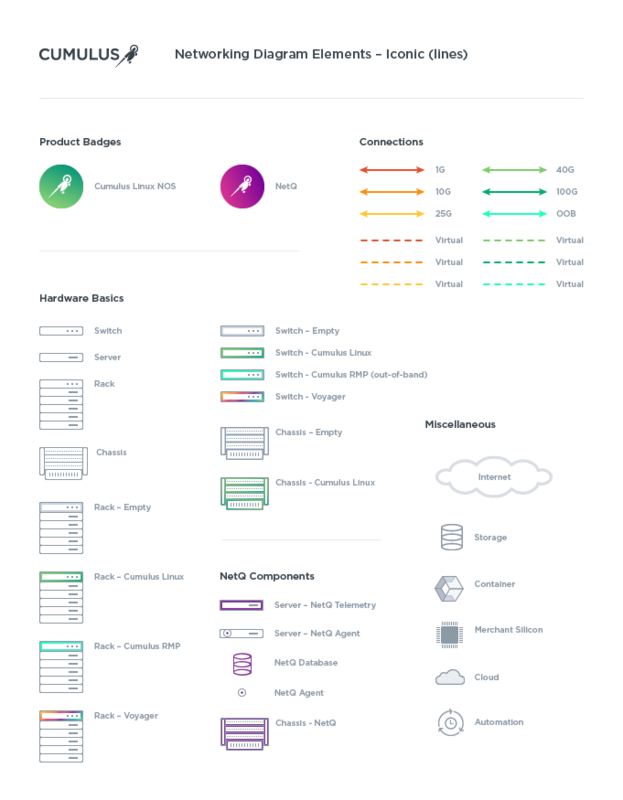 Visio, Omnigraffle, PPT, Lucid Chart, or just a set of .png or .svg files? Here's a first pass at what some Cumulus networking stencils could look like. Hoping to get feedback from experts out there so we can continuously improve on these. Please feel free to upload any concepts or sketches of your own. What would be helpful here? Does it make sense to distinguish connection types by color or maybe line weight? 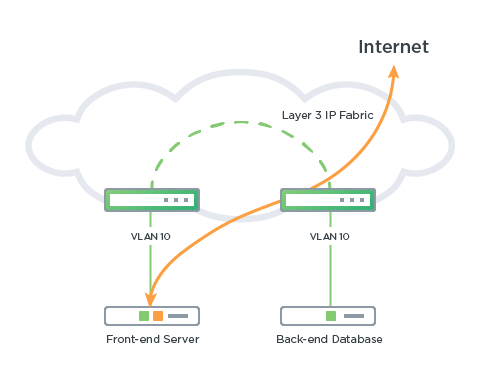 This would be of great use to us, we a mixed environment it sometimes can cause issues with people unfamiliar to the different networking vendors to differentiate whats what. I am thinking the Iconic lines format works better, more crisp and clear for the logical diagrams that we would be using. I prefer to distinguish connection types by color, rather than weight. 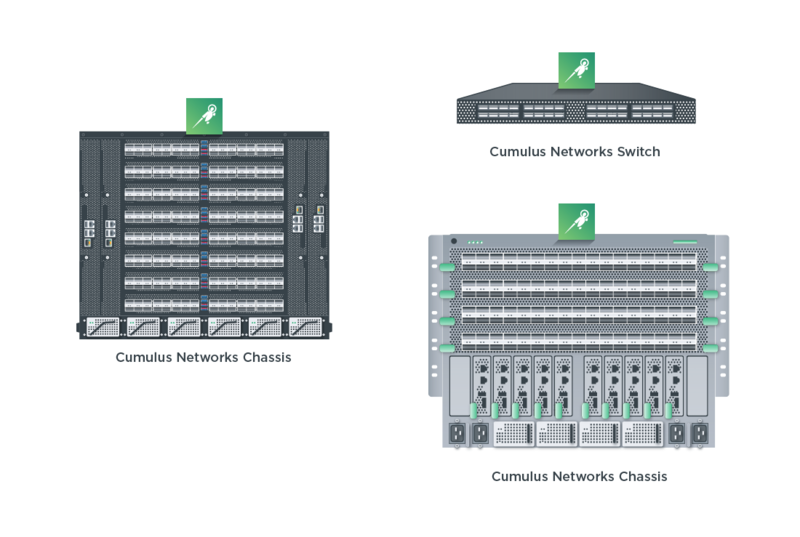 With migrating the majority of our networking infrastructure towards cumulus, it would be great to start using the templates to start showing the new cumulus infrastructure more clearly in our documentation. We primary use Visio for this purpose, so thats what works best for us. I think they look great and I'm a fan of the simpler format myself. I know some people use the more detailed versions more commonly in rack elevation diagrams. Potentially might be easier to make the correlation that the image is a switch if there where more dot for ports ? It would also be great if you made one with a generic style switch logo, kind of like what cisco/arista/juniper do. The it would be easy to grok at glance the switch vendor (os in this case). Would you also consider releasing the stencils in SVG format? Thanks for the feedback @bradsearle. We could definitely do .svg as well as Visio. As far as the generic switch logo I'm not quite clear what you mean. Can you post an example? We tried early icons with lots of ports for a switch but it got blurry when small. Thinking that 3 dots could represent a switch and a line could represent a server. We do want to be able to quickly distinguish at a glance though. Oh Great to hear about SVGs that would be awesome. I see where you are coming from RE the small thing. This is the kind of icons I am referring to. Added the circular icons to represent the products at a glance. @bradsearle is this what you had in mind? 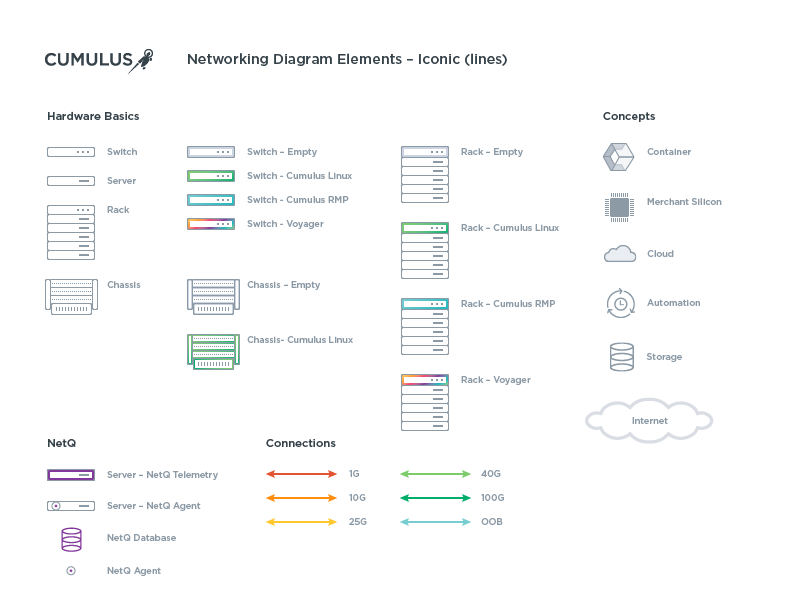 We have a collection started for all the Cumulus networking stencil assets here. You can filter by asset type to select the file type you want. Still need to add the Visio stencil format and will update that soon. Will add and revise this collection as we get more input. Looks good, thanks for sharing the link to the stencils also. Cumulus Networks Omnigraffle stencils uploaded to Stenciltown. Hi @Beau the visio stencils are available here. Will start implementing these into some diagrams and give you some feedback. Added these stencils to PowerPoint as well for those who prefer PowerPoint.